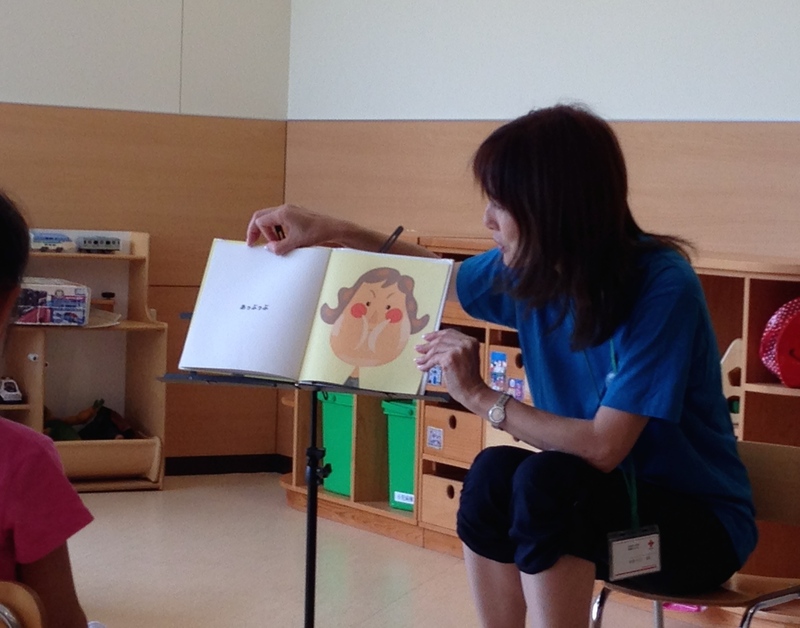 Depending on the age of children, various stories from poetry to fairy tale and infants’ stories were told. Everyone likes Yukari-san’s smile and her sweet clear voice. 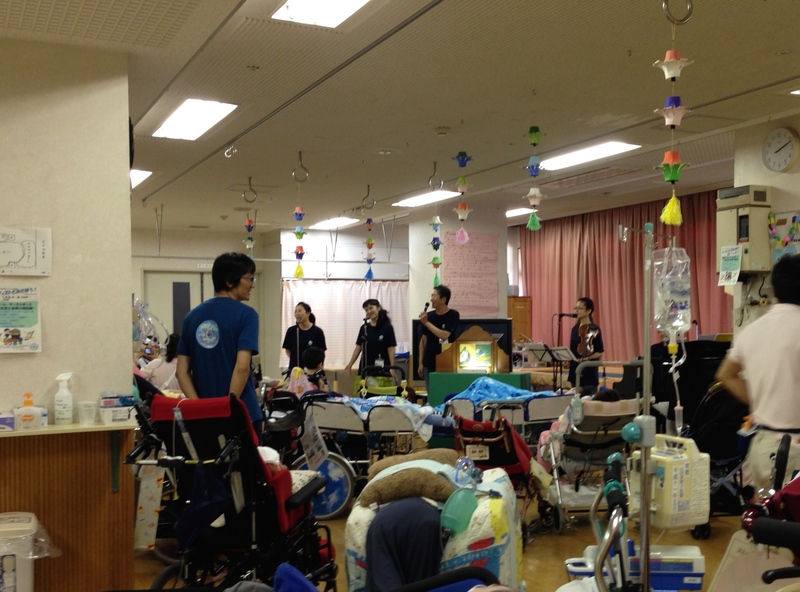 The playroom of the ward for multiple handecapped children was filled with children as well as all the staffs, some were by wheelchairs, some were by stretcher, some were with sucking tubes and some were held in nurses’ arms. 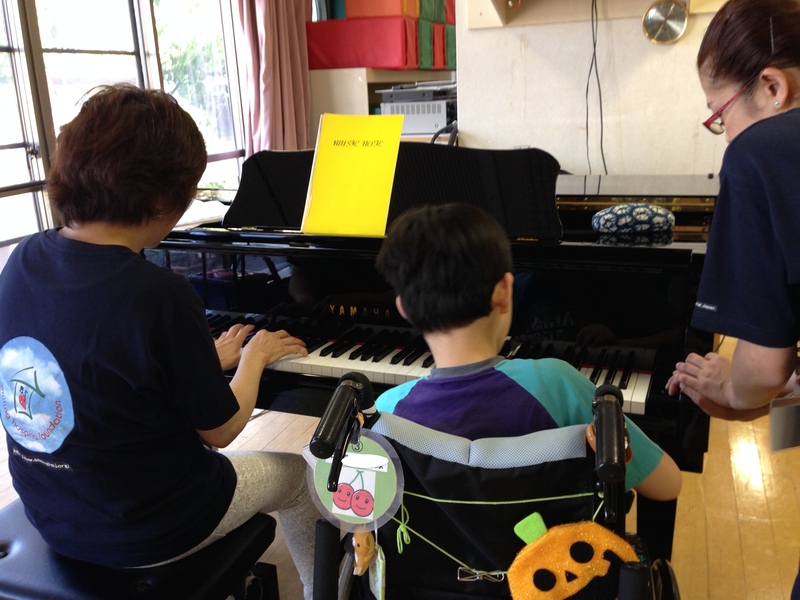 They all enjoyed the voices of vocal actresses, music by a violinist and a pianist and never lost interest until the end. The ward was full of smiles today too! 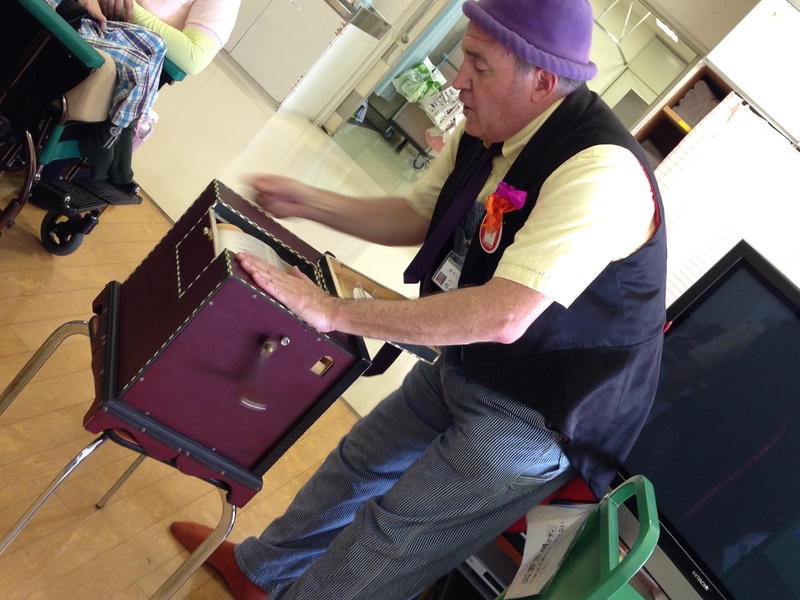 Guy-san’s hand-made organ sounded amazing! Some tried playing it by turning the manual handle and some were fascinated at the look of the organ and enjoyed its sound and melody. A balloon was presented to everyone before good bye! 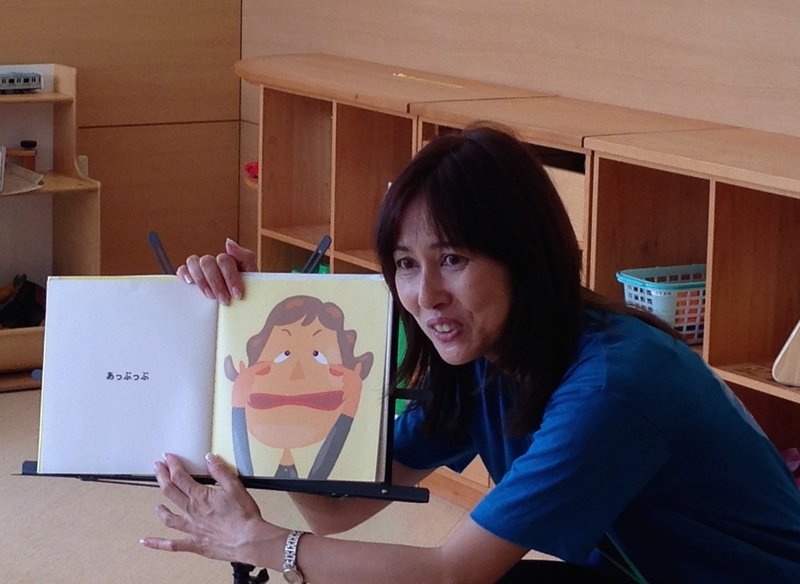 A professional illustrator Mari-san answers any requests of anime charactors from children, such as Mini, Yokai(monster) Watch, Crayon Shin-chan etc. 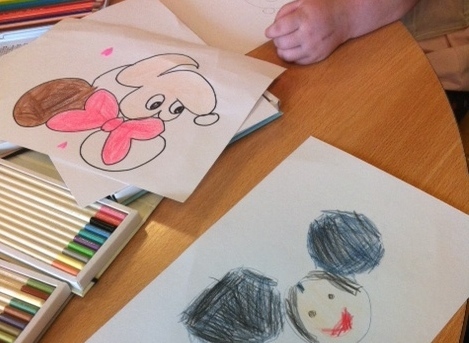 SHJ artists have to learn kids’s popularity and they really do! 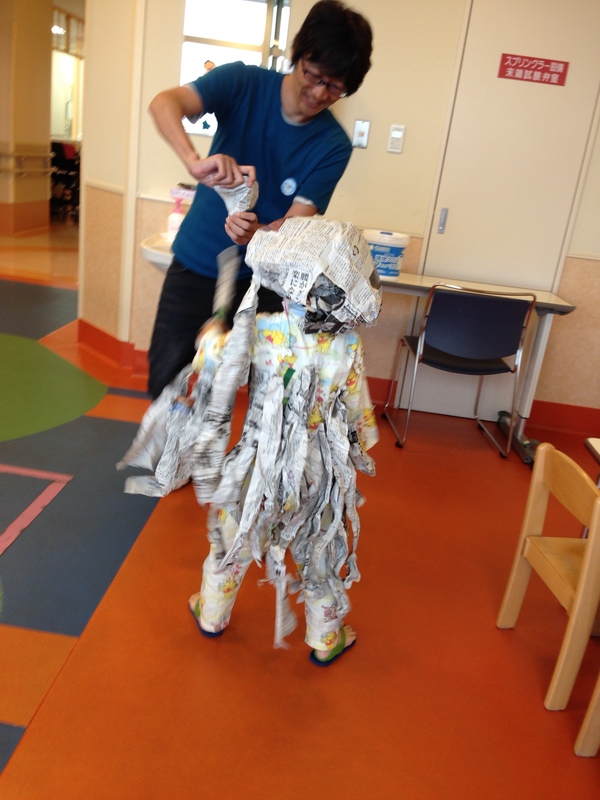 The playroom was so crouded with children to be monsters! On the other hand, the new administrative member of SHJ Mr. Taniguchi was completely beaten by the most strong monster in the ward who had just taken a doctor down in the nurse center. Finally the monster went back to his position. He looked satisfied and happy! 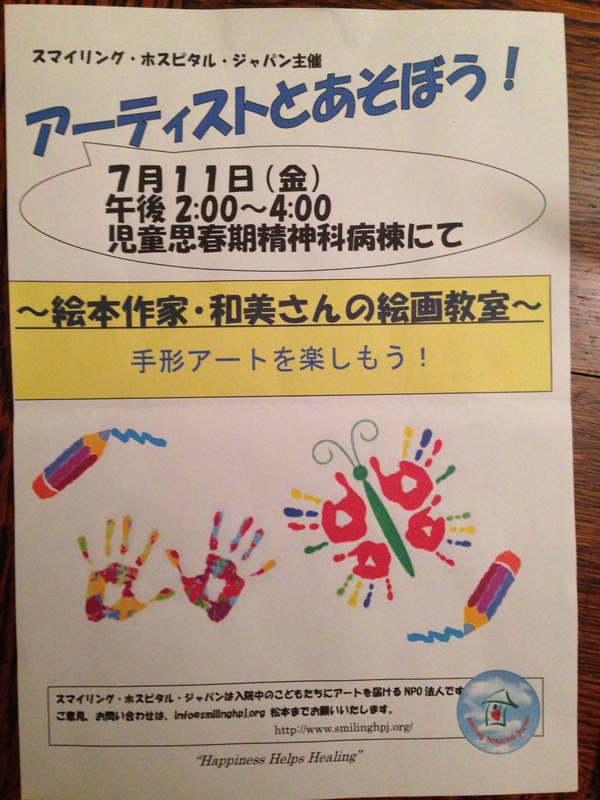 The most important thig is that artist himself enjoys the activity. 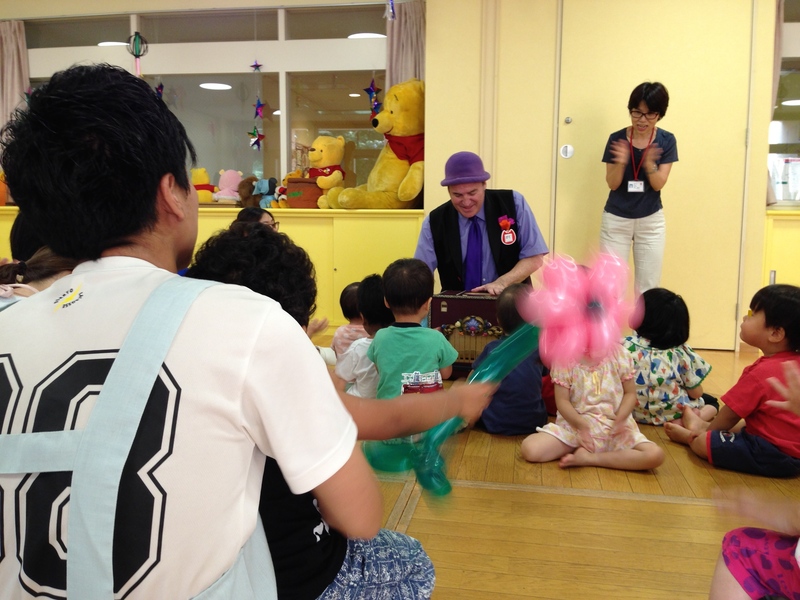 Yohei-san had such a wonderful time with children. Why he enjoyed it? 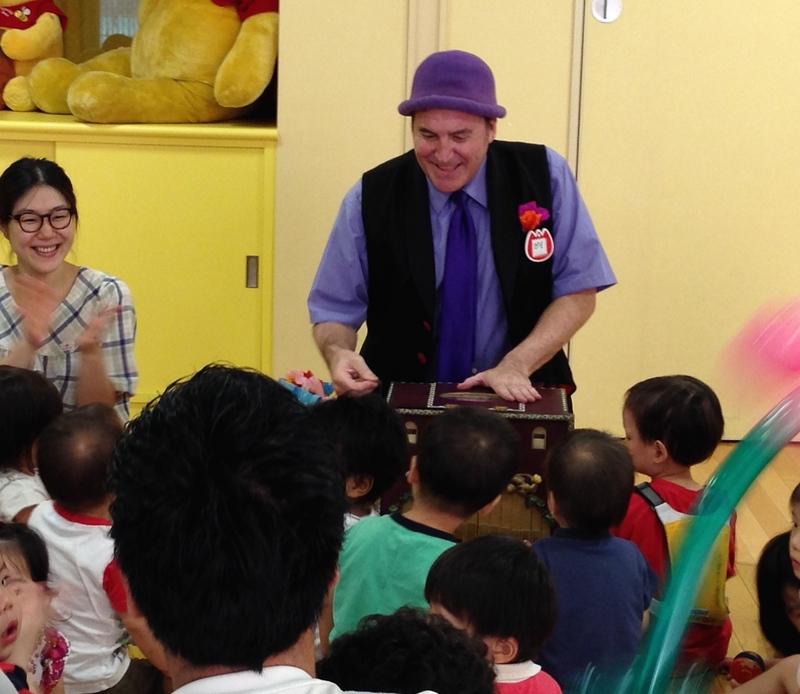 It was because kids just couldn’t stop laughting and enjoying his performance! 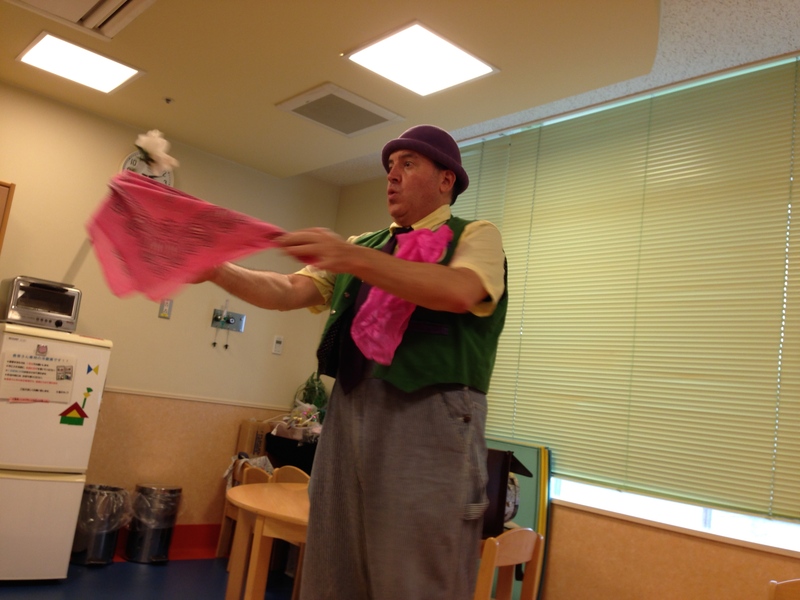 Magic and balloon show was held at each bedside in the pediatric ward. 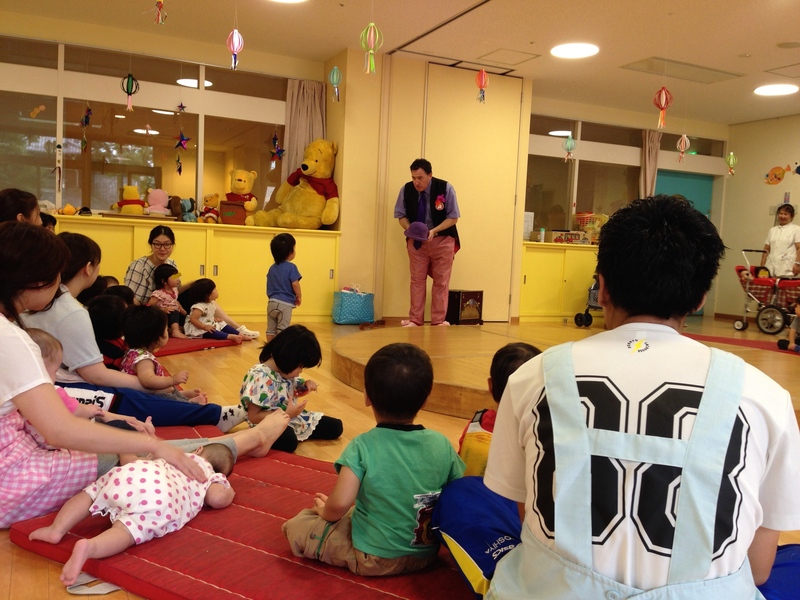 Around 50 children and nurses sat down surrounding NIKONIKO Taishi Guy and watched the show curiously in the infant home. 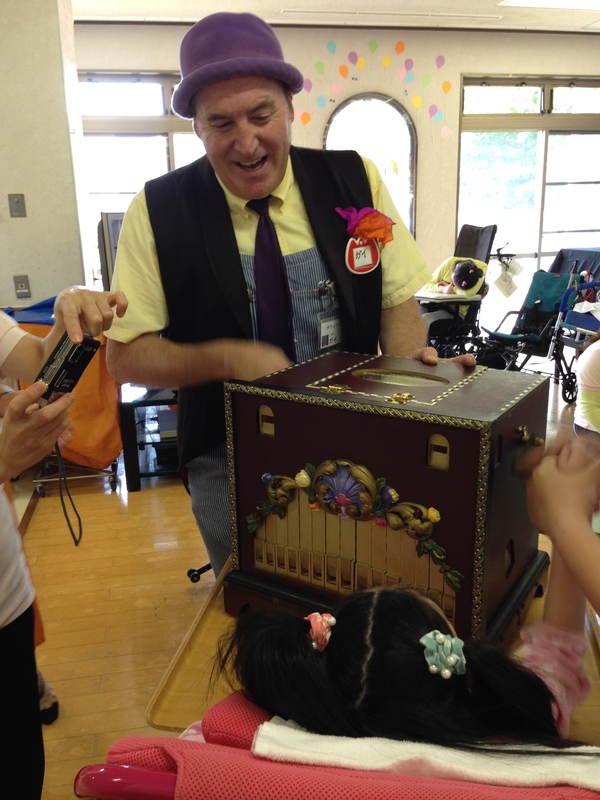 Guy brought his hand-made organ and it made everyone enjoy listening to and play by themselves. The music sounded like merry-go-round and that was wonderful. 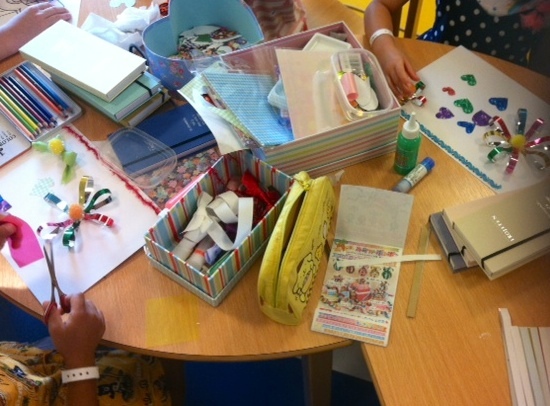 About 8 children got together in the canteen and enjoyed hand print art. 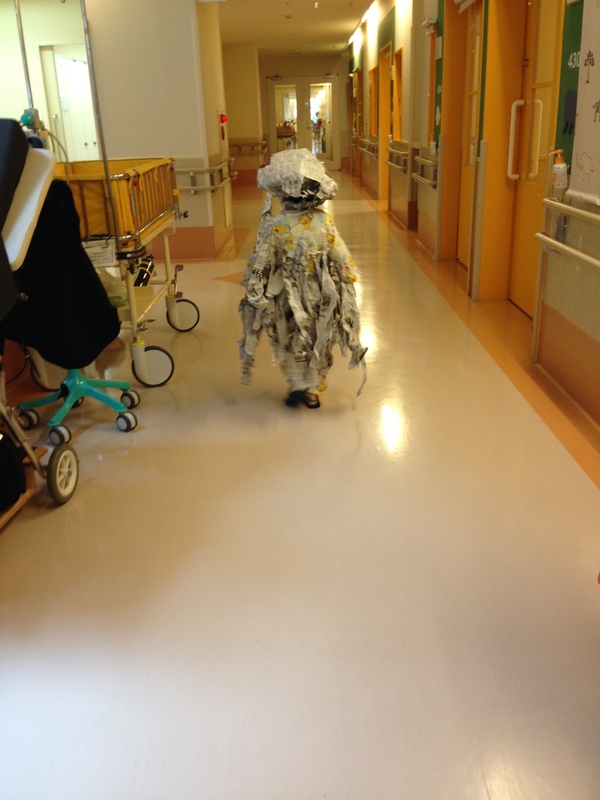 Every work was so wonderful that some nurses, doctors were surprised. What made them moved was that everyone concetrated into the activity and looked satisfied. 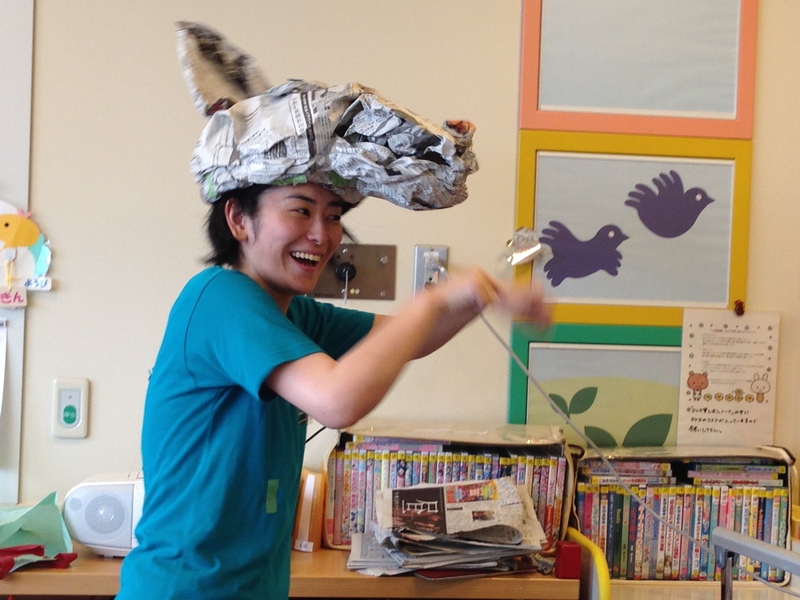 Focused power by children yelling “magic power! !” made any magic fulfilled. 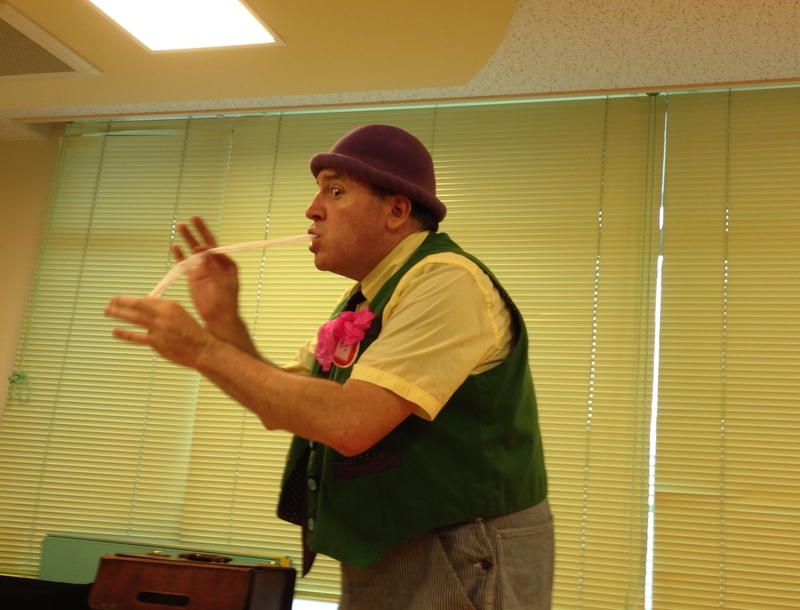 The ward was filled with kids’ shrill voice and laughter at Guy-san’s failure and his clowning around. Medical staffs rushed to the noise and they started to enjoy the show with kids. 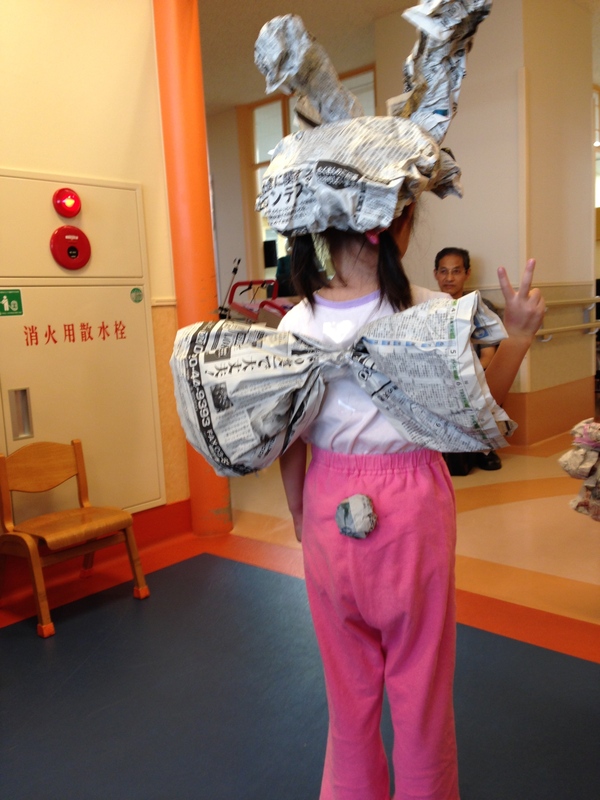 This is a tipical scene of SMILING HOSPITAL activities, which will spread all overJ JAPAN soon!. 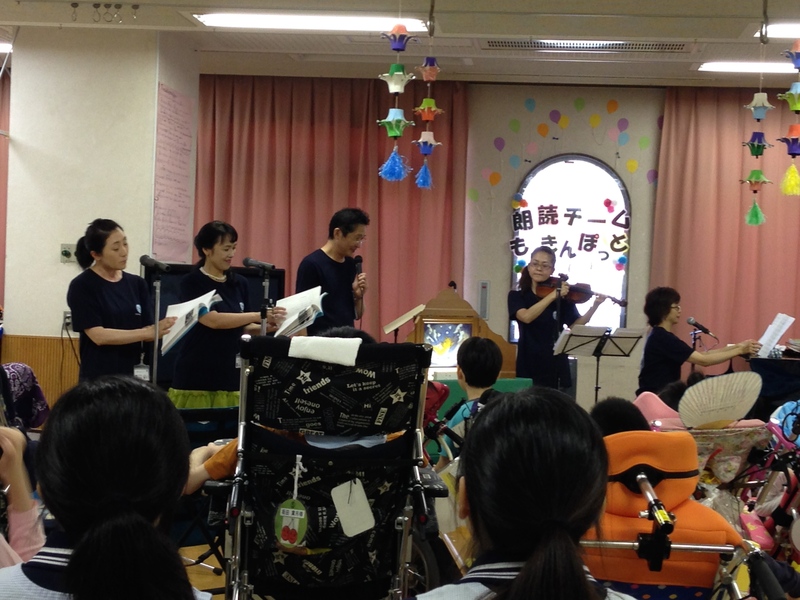 Shrot concert in every single room for celebrating the Star Festival. 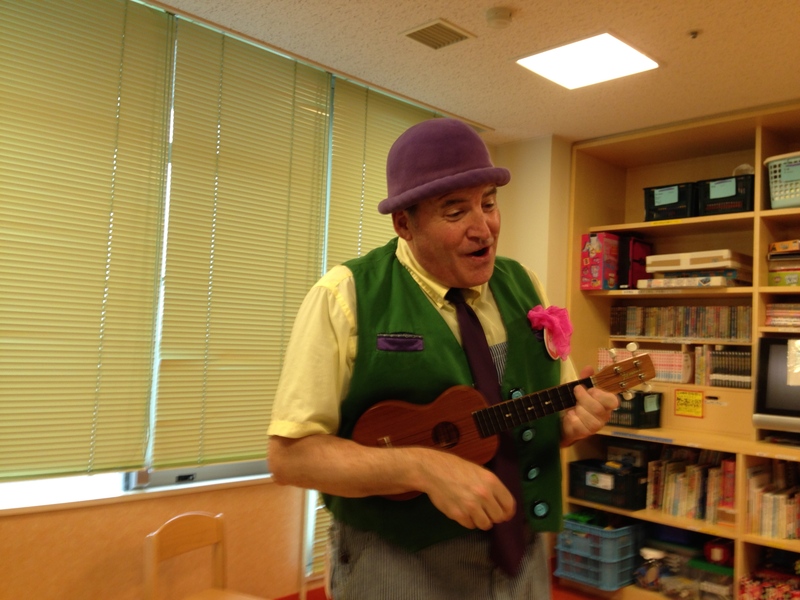 Kazuko-san sang “When You Wish Upon a Star” in each private room wishing children the quick recovery.